This article is part of a series to be used for the upcoming release of SBI-Rss-Tutorials. Make sure to add us to your reader so you can get that when it comes out. Time is getting near to release of SBI-Rss-Tutorials. My ebook on how to use Easy Blogs. Your looking at on here. This software is the best. So far in over 2 years of using EB I've never had a page built with errors. Combine this software with Site Build It tools and you have a platform for creating a serious blogging empire. The ebook SBI-Rss-Tut just keeps getting bigger and bigger. So big I had to move many atricles out of it and into their own page. Just added - 2 more. Setting Options. If you didn't set up your blog the way you wanted in the tutorial on setting up your blog, then use this tutorial to make changes to your original settings. News Blog Ideas for what to put in your blog if you get stumped or can't think of anything to write about. Learn more at SBI Rss Articles. The long awaited time has arrived, SBI Rss Tutorial is now available. The re-write of SiteBuildItRss ebook is complete and renamed to SBI RssTutorial. This Tutorial began back in 2004 and continued to be updated through 2007. In that time the software was updated several times and the tutorial right along with it. I purchased SiteBuildItRss tutorial package in early 2008. The previous owner recommended that I just re-post the entire package as is and mentioned I should fix some of the mistakes. As you may well imagine I began by looking real close at the information with an eye out for errors. Aside from quite a few misspellings I didn't find any procedural errors. I did find old outdated techniques, links and advice that are no longer of use. Being that the software was updated again in 2008, many procedures were in need of revision or needed to be added. So I revised and updated the tutorial for beyond 2008. Added some new templates, notably one for AJ's 3 column fixed width CSS template and a table based 3 column customizeable template. Incorporated all the previous updates into the new ebook. Upgraded and added many more images to clarify the information even better. Removed obsolete or useless information. Some things that were worth while in 2004 no longer hold true today. Such as links that no longer exist and advice that is out of date. 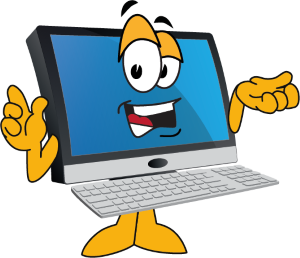 With over 10 years experience with Easy Blogs I can tell you there is nothing else like it out there. If you are a webmaster you will appreciate the power of Easy Blogs.We lay out all the benefits and advantages in the SBI Rss Tutorial. The only way to really see what's new is to visit. Last week, we launched SBI-Rss-Tutorials. The 229 page re-release of SiteBuildItRss (SBIRss) manual for using EasyBlogs to put a dedicated news blog on your SBI website. That release culminated 6 long months of work. I wasn't sure the ebook was even going to come out for many reasons I won't go into. Suffice it to say that there is a new captain at the helm. If you were a former member of Honor Hart's membership website you may have noticed that it doesn't exist anymore. As a matter of fact it disappeared rather suddenly and we all wondered where it went. Except for me of course, who bought it from Honor. Turns out SBIRss was a labor of love that Honor grew up from infancy to a muture reliable method of Internet marketing. At the time of inception "news blogs" were all the rage and the promotions all used the euphamism "Dedicated News Blog." Blogging has come a very long way in a few short years so the term "news blog" isn't really adequate to describe the power and capabilities of Easy Blogs. When I think of what to call it, I think "blog launch platform" is more appropriate. There are so many things Easy Blogs can do, simply calling it a "dedicated news blog" just doesn't cover it anymore. With the upwelling of social networking media, blogging has reached an all new level. Now you can plug a blog into multiple information highways and have massive world wide exposure in an instant. Of course all that still takes a lot of work and doesn't just happen overnight. You still have to join the social networks, write great content and publish frequently. With Easy Blogs you can create all your publishings on one platform and feed the multitudnous of sources from home. 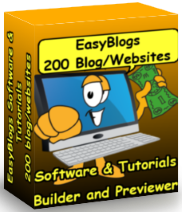 Easy Blogs is software that you download onto your computer. Giving you the power to control all aspects of the your blog. No more waiting to get online to update your blog. No more unwanted advertisements (just what you put on there). No more missed opportunities to write when and where you feel like it.